Self-care is definitely a priority for me in 2019. I spent a lot of 2018 stressed and burning out, particularly towards the end of the year. I’m determined not to let that happen again so I’ve been doing what I can to keep myself happy and healthy. 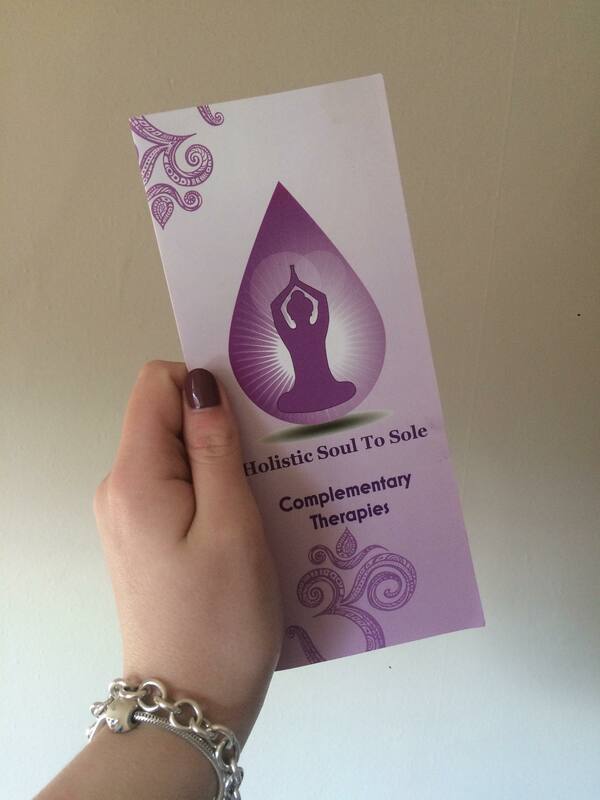 On the recommendation of my family, I decided to book myself a massage at Holistic Soul to Sole. I was a little nervous before I arrived because I haven’t really had that many massages but I shouldn’t have worried. SJ put me at ease as soon as I arrived and sat me down for a little consultation before we began. She explained the different treatments and listened to my needs until we had decided that I would have a Swedish Back, Neck & Shoulders massage, followed by some facial reflexology. I was left alone in the beautiful treatment room to get myself ready and immediately found myself relaxing as I listened to the music and smelt the beautiful candles that were burning. This only increased when the massage started. SJ was reassuring and checked with me that everything was ok as the treatment started. I was beyond relaxed! I honestly can’t recommend her massages enough. It is designed to leave you feeling revived and renewed and I definitely was. After that, it was time for my facial reflexology. This involves using face maps to reduce the symptoms and effects of different problems you may be facing. This was the first time I have had anything like this done before but I think I would try it again as it definitely seemed to help me. I can honestly say that I left Holistic Soul to Sole sure of two things: that I was more relaxed than I had been in months and that I will definitely be going back again soon. What more can you ask for? It definitely sounds like an indulgent experience!